Gold color. Fruity aromas and flavors of honeyed sliced apples on apple jack cereal and apple-scented candle with a silky, vibrant, finely carbonated, dry-yet-fruity light-to-medium body and a smooth, medium-length finish imparting elements of wheat wafer with apple butter finish. A very tasty, balanced and refreshing apple flavored beer that really hits the spot; one for the beach. Bottom Line: A very tasty, balanced and refreshing apple flavored beer that really hits the spot; one for the beach. Flavored wheat ales are usually pale straw to gold in color and average between 4-6.5% in alcohol with variations depending on the interpretation of the style. 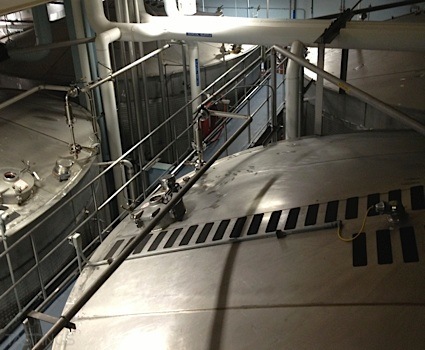 They commonly derive their flavor from fruit and honey added during the brewing process in addition to the standard malt, hops, yeast and water. Flavored wheat ales are an increasingly popular seasonal style covering a number of flavors adopted by brewers worldwide, particularly in the US. Noteworthy examples of this style include: Samuel Adams Blackberry Wit, Unibroue Ephemere Apple and Breckenridge Agave Wheat. 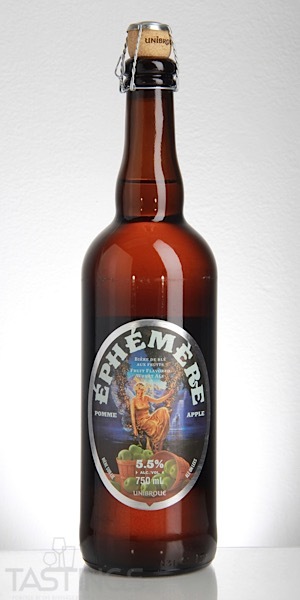 Unibroue Éphémère Pomme Flavored Wheat Ale rating was calculated by tastings.com to be 92 points out of 100 on 3/6/2019. Please note that MSRP may have changed since the date of our review.